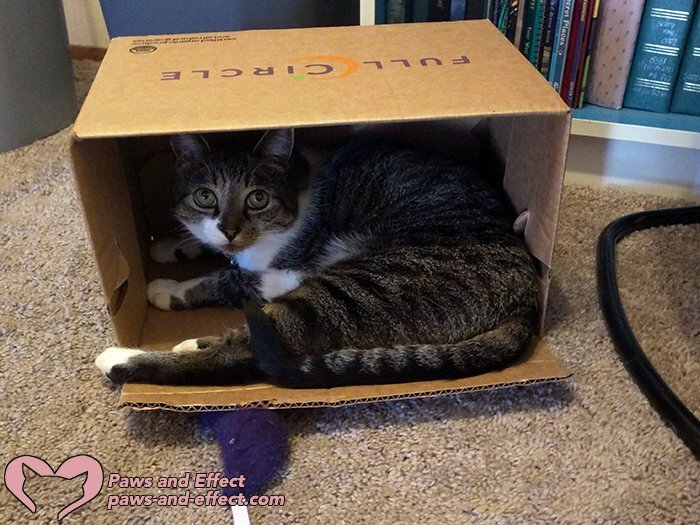 You are here: Home / Cat Health / How Should I Introduce a Cat with Cerebellar Hypoplasia? A cat with cerebellar hypoplasia is just like any other cat, except that they walk funny. My partner and I currently have 3 cats, one of which is only 5 months old and has settled in fantastically, and the other two seem to adore her in their own ways. Now, one of my work colleagues has a kitten in her family that was taken away too young and had to be bottle fed and has been diagnosed with a cerebral issue (I don’t know much more than this at the moment, but apparently she is healthy and happy otherwise). Unfortunately, they can no longer keep this cat, and the rescue centre is threatening to put her down. We are expecting a baby in January so can’t keep her forever, sadly, but we have offered to foster her in the meantime to save her from being put to sleep. We have a lot of experience with cats of all ages and are usually quite confident in introducing cats. However, I am a little worried about this one due to her issues. She is also only 10 weeks old. Is there anything I need to do differently when introducing a kitten with special needs? Our current 5-month-old can be very boisterous and loves testing the boundaries with our older two and this worries me, too. I also don’t want to upset our older two too much by introducing yet another “intruder.” Any advice would be fantastic! Thomas: First of all, Ruby, the most common cerebral issue with cats is a condition known as cerebellar hypoplasia. Bella: This is typically a congenital condition–meaning the cat or kitten is born with it–or it develops very early in life. Tara: The good news about cerebellar hypoplasia is that it’s not a progressive disease. It’s also not contagious to other cats. Thomas: So now, let’s give you some background information about the condition. First, we’ll start with the general things: The brain has many areas that control a variety of functions in the body. The cerebellum, located at the back of the brain, is responsible for fine motor skills and coordination. 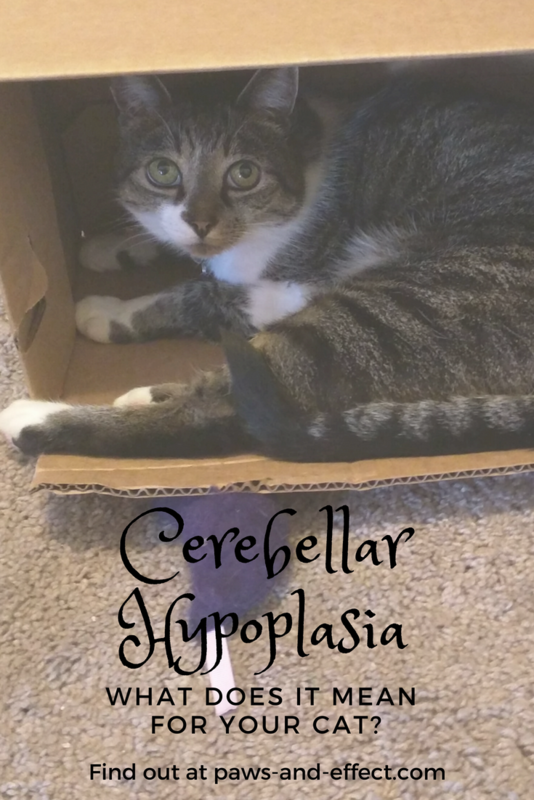 Bella: Cerebellar hypoplasia (or CH, for short) means that the cerebellum is abnormally small. The most common reason kittens are born with the condition is if the mother is infected by the feline panleukopenia virus while she’s pregnant. Trauma during pregnancy can also cause CH. Tara: The panleukopenia virus is a member of the parvovirus family. Panleukopenia is also called feline distemper. Neither parvovirus nor distemper should be confused with the dog conditions of the same name. Thomas: The good news is that there’s a vaccine for the panleukopenia virus–it’s typically called the FVRCP vaccination here in the U.S. But unvaccinated cats are definitely at risk of contracting the disease because it’s highly contagious. Bella: That said, cerebellar hypoplasia itself is not contagious, as we noted earlier. It just happens that exposure to the panleukopenia virus while in utero resulted in a birth defect–that shrunken cerebellum. Tara: The condition runs on a continuum from mild, where a kitten just has a kind of funny gait and possibly head tremors when excited. Moderate cerebellar hypoplasia gives a cat sort of a “drunken sailor” walk, and head tremors may be more pronounced. In severe CH, cats have frequent head tremors and may not be able to walk at all. Cats with severe CH also require assistance with things like eating and using the litter box. Thomas: The great thing about CH cats is that they don’t know they’re disabled at all. They just live their lives and have as much fun as non-CH cats. Bella: Another thing you should know is that cerebellar hypoplasia doesn’t hurt. All it does is affect the cat’s coordination. 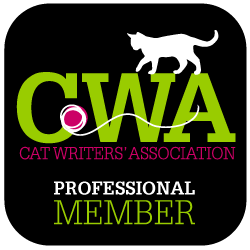 Tara: As for introducing a CH cat to your other kitties, simply do a standard introduction: put the newcomer in one room and “swap scents” between the resident cats and the new cat. We’ve got more tips on how to introduce cats in this post. Thomas: How will your other cats handle it? Probably pretty well, as long as the introduction is done properly. Your CH kitten may need some extra supervision when playing with other cats, just to make sure the play doesn’t get too rough. But we bet your current kitten and this kitten will have lots of fun together. Bella: Your other cats won’t realize this little one is disabled, either. They may think he has weird body language at first, but they’ll figure it out pretty quickly. Thomas: We strongly recommend the Life with CH Cats website as a resource for helping you help this kitten to have the best life possible. Bella: The Cerebellar Hypoplasia Cats and Kittens group on Facebook could also be a great place for you to get tips and support while fostering your little kitten. Tara: Thank you so much for caring about this little kitten and offering to foster her and save her life. Every kitty matters! Thomas: What about you other readers? Have you had a cat with cerebellar hypoplasia? What did you do to make that kitty’s life as great and easy as possible? Please share your tips in the comments! And finally…if you like what we’re doing, please consider supporting our Patreon campaign! It’s the only thing that’s allowing us to keep this blog ad-free, and even $1 a month could help. Purrs and thank you! How Can I Get My Wobbly Cat To Play Again? How Should I Introduce a Blind and Deaf Kitten? What's wrong with my wobbly kitten?